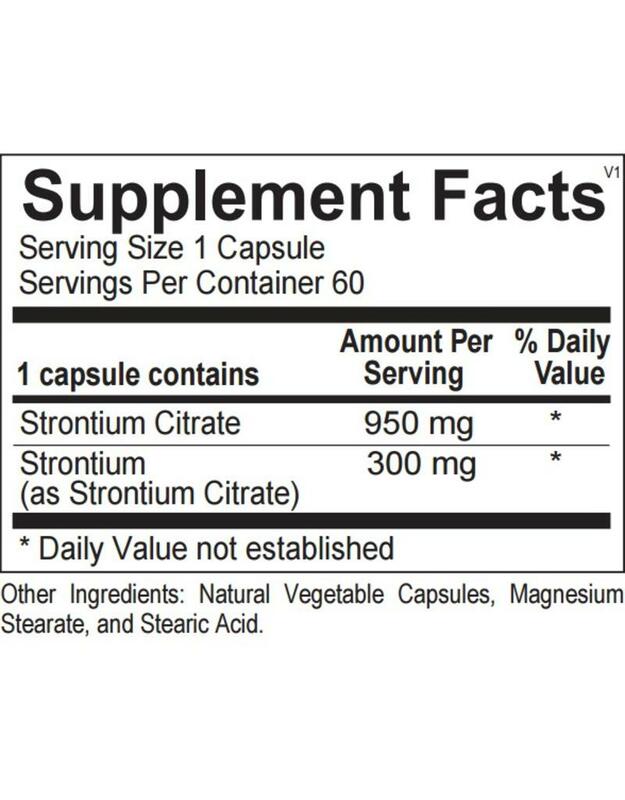 Strontium is a mineral that has similar properties to calcium and has been found to have vertebral integrity benefits over time when added to a stable calcium and Vitamin D regimen*. Research goes back over 100 years and shows that this Strontium rebuilds bone strength dramatically corroborated by more recent clinical studies. 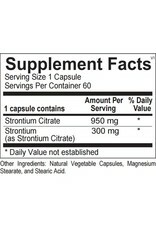 Strontium is a mineral that has similar properties to calcium. Researchers reporting in the New England Journal of Medicine found vertebral integrity benefits over time when adding strontium to a stable calcium and vitamin D diet regimen. The strengthening of bone is far beyond what others claim to do. Much success has been seen with this product.